LEGUMINOSAE. Showy tropical and sub-tropical trees, shrubs and climbers grown for their spectacular flowers and feathery foliage. They are favorites in warm regions and as greenhouse subjects in the North. Easily grown from seed which is best soaked 12 - 24 hours in hot water, and those that do not swell lightly filed. Sow in sandy soil, keep warm, and pot off when the first true leaf shows. Germinates in 2 weeks to 4 months or more. Ordinary well-drained soil is best, and not too rich. They grow rapidly, and in cold climates will often flower in fairly small pots; the dwarf species are best for this. Warm, sunny, dry places are best. Some can survive down to 10 - 20°F, and are hardy to Washington D.C. The seed of some can float for years in seawater, being carried thousands of miles, to even arctic beaches. Treated with Sevin, and then washed. 'CASCALOTE', 'HUISACHE BOLA'. Large yellow or red flowers in long racemes. 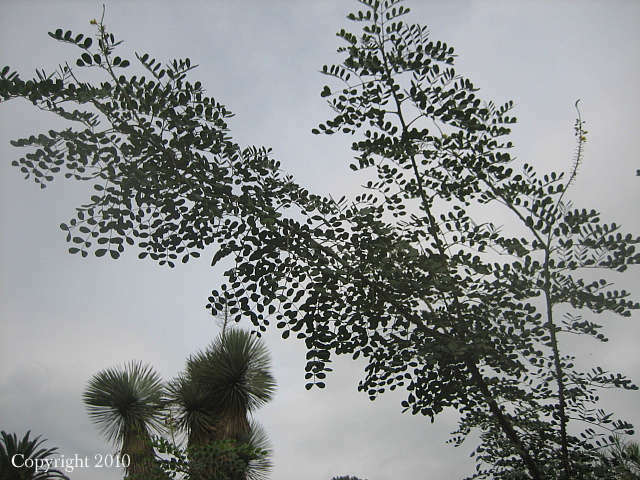 Grey-barked tree or shrub with pinnate leaves and 4 - 6" reddish pods. México. The pods contain considerable tannin and are used for dyeing. The seeds are eaten, the wood gives good charcoal, and the bark is used as a toothache remedy. Nick seed, germinates in 1 - 3 weeks. 'RETAMILLA', 'TABACHIN DEL MONTE'. Showy yellow flowers in long racemes, followed by flat pods. Shrub to 6 feet, occasionally becoming a small tree to 30 feet. México. An excellent ornamental for the greenhouse. Nick seed to germinate in 2 - 4 weeks. 'PIGEON PEA'. Yellow flowers followed by edible pods and seeds. 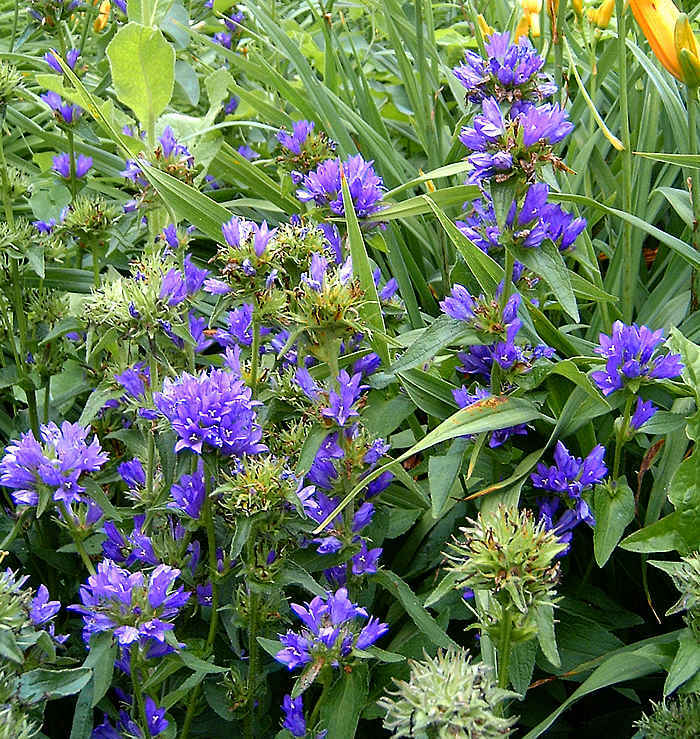 Short-lived perennial to 5 feet, thriving in sun and moist to dry poor soil. Africa. Zone 9 or 10. Widely grown in the tropics for the nutritious seed, young pods, and young leaves. Produces abundant food, forage, and builds soil. Germinates in 2 - 3 weeks. Some lots need nicking. LABIATAE. 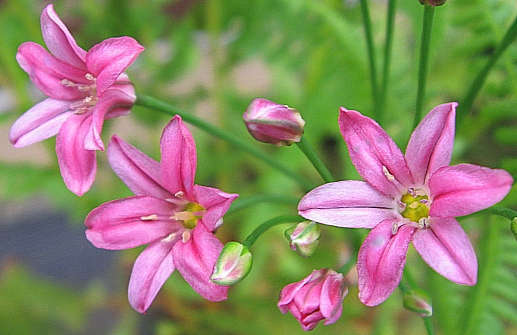 Eurasian perennials grown for their tubular flowers or as flavoring and tea. 'ELFIN PURPLE CALAMINT'. Purple-rose 1 1/2" tubular flowers from May to July. Hardy aromatic perennial to 8", forming a nice mound of foliage. S. Europe. Zone 5. Good in part shade under trees. Prechill seed or sow in fall. 'CALAMINT'. Lilac flowers in whorls in July and August. Hardy perennial to 1 foot tall, with downy leaves. Creeping rootstocks. Europe. Zone 5. The whole plant has a sweet aromatic scent, and was made into a pleasant cordial tea. Was used medicinally and the ancients believed it had the power to drive away serpents. Germinates in 1 - 5 weeks warm. "We are beekeepers and native pollinator supporters, and this Calamintha is one of the very best bee plants we have experienced! Very long blooming period (usually 12 weeks or so!) and the bees go there from morning till sundown. "—Alex Tuchman, Spikenard Farm, Virginia. PORTULACACEAE. Attractive, often trailing, somewhat succulent plants grown for their profusion of brilliant 3 - 7 petaled flowers. Easily grown from seed. Germinates in about 5 - 15 days. Best in sunny, dry, well-drained soil, and blooms best in hot sun. Blooms in about 15 weeks from seed. Large, glowing, crimson-violet cup-shaped flowers in clusters from June to November. Mat-forming tender perennial forming tufts of grey-green narrow leaves to 3" tall, and flower stems to 6" tall. Peru and Chile. Zone 7. "Full exposure to sun, and light sandy soil, are needed to bring out the rare beauty of these plants."—L. H. Bailey. Germinates in 1 - 2 weeks. SCROPHULARIACEAE. Showy plants valued for their slipper-like flowers. Best in the cool greenhouse in finely sifted, peaty soil. Sow thinly on the surface and water by absorption from below. Dozens of bright yellow pouched flowers in branched clusters to 18" tall. Large rosettes of crinkly leaves. From 11,200 feet elevation, streamside, Aconcagua, Argentina. Possible hardy to Zone 7. Surface sow to germinate in 1 - 8 weeks. COMPOSITAE. Showy hardy annuals and perennials with large yellow and orange daisies. Easily grown, thriving in the poorest soils and harsh conditions. Sow where they are to stand in early spring, or in July to September for winter flowering pot plants. Cool weather plants which should be sown in fall in California and the South. Self sows and good for naturalizing. Long-lasting cut flowers. Nearly everblooming in mild climates. Seed viable 8 - 10 years. Germinates in 1 - 3 weeks, best in the dark, so cover 1/4" deep. Cool temperatures best, and 1 week prechill helps some kinds. 'POT MARIGOLD'. Hardy annual to 1 - 2 feet. Cultivated since before 1573 for the showy flowers which are used in broths, soups, conserves and for coloring butter. Also had many medicinal uses, and was mentioned in herbals as early as Albertus Magnus' 13th century work. The petals were said to 'comfort the heart and spirits'. "No broths are well made without dried marigold. "—Stevens, 1699. The fresh petals are colorful in salads. The single flowered varieties are closest to the wild ancestor, and the doubles produce an abundance of petals for the kitchen. Should be in every cook's garden. Excellent cut-flower strain, with uniform long straight stems to 2 feet. Shades of apricot, creamy yellow, golden yellow, lemon yellow with dark eye, and deep orange with eye. Germinates in 1 - 3 weeks. Striking fully double flowers with maroon petal-backs and faces in pastel pink shading to yellow in the center. Also called 'Zeolights'. Organically grown. Prechill 1 week. "Mathematics has no existence on its own. It is merely an arbitrary code devised to describe physical observations or philosophical concepts."—Asimov. LEGUMINOSAE. Showy tropical shrubs and trees grown for their striking flowers and feathery foliage. The name means 'beautiful stamen', aptly describing the long, plume-like stamens. Easily grown in the greenhouse and warm regions. Soak seed overnight, nick unswollen ones, germinates in 2 - 4 weeks. Seed has been treated with Sevin, then washed. 'FAIRY DUSTER'. Showy red-purple puff-like 3/4" flowers, followed by 2" pods. Small shrub to 1 - 3 feet tall and 5 feet wide, with feathery pinnate foliage. California to Texas and México. The northernmost Calliandra, standing harsh desert conditions and much frost. Probably hardy to minus 10 degrees F.
MALVACEAE. Hardy N. American annuals and perennials grown for their profusion of showy flowers and attractive foliage. Easily grown in sunny areas and thriving in poor dry soils, giving a long period of summer bloom. Sow in early spring to germinate in about 3 weeks. They "...are of easiest culture, and deserving of much greater popularity."—Taylor. 'WINE CUPS', 'POPPY MALLOW'. Bright red 1 1/2" wide flowers produced in profusion. Hardy trailing perennial to 1 foot or so, with deeply divided leaves. N. Dakota to Texas. Good in dry soil. The sweet starchy roots are cooked and eaten, and the leaves used to thicken soups. For best germination, give a hot water soak, then rub husks off, to germinate in 1 - 4 weeks. Well worth the effort! LEGUMINOSAE. Australian shrubs and trees. 'WONNICH', 'AUSTRALIAN WILLOW'. Yellow-orange flowers in dense spikes. Shrub or small tree to 23 feet, with willow-like leaves. Along water-courses in SW Australia. Zone 9. Nick seed to germinate in 2 weeks. LILIACEAE. Attractive bulbous plants from western North America. The flowers of many are of extraordinary beauty. Best in light soil with good drainage, excessive moisture being detrimental. Most do well in pots. Cold desert species need cool (40 - 50°F) temperatures for germination—sowing at 70°F may be harmful. 'STAR TULIP'. White or purple-tinged flowers with fringed petals and purple and yellow markings in the center. Grassy areas of B.C. and Washington. Zone 6. Bulbs edible. Prechill 4 weeks or more. 'GREEN - BANDED MARIPOSA', 'NOONA'. Large purple-lilac 2" bell-shaped flowers with green bands and pointed petals. Hardy bulb to 20". Deserts, from B.C. to California. The large bulbs were eaten by Indians and are said to be "The acme of all that is delicious", and the flowers are "The finest and most elegant of all..."—Parsons. Germinates in 2 - 4 months at cold temperatures. 'SEGO LILY'. Delicate white bell-shaped 1 3/4" long flowers tinged lilac, with a yellow base, followed by interesting pods. Ashy green foliage, Stems to 1 1/2 feet. Dakota to California; the Utah state flower. The bulbs are edible raw. boiled or roasted. "There are no more exquisitely beautiful flowers than these sego lilies..."—Purdy. Germinates in 2 - 4 months at cold temperatures. "Information is not knowledge. Knowledge is not wisdom. Wisdom is not truth. Truth is not beauty. Beauty is not love. Love is not music. Music is the best. "—Frank Zappa. CONVOLVULACEAE. Large twining half hardy perennials grown as annuals for their large and showy, fragrant, trumpet-shaped, night-blooming flowers. They are beautiful free-flowering vines, their night-scented blooms make them excellent for covering trellis work by summer porches and bedroom windows. Nick seed or soak overnight in warm water till swollen. Germinates in about 2 weeks. Sow early and plant out in May. Easy. 'GIANT MOONFLOWER'. 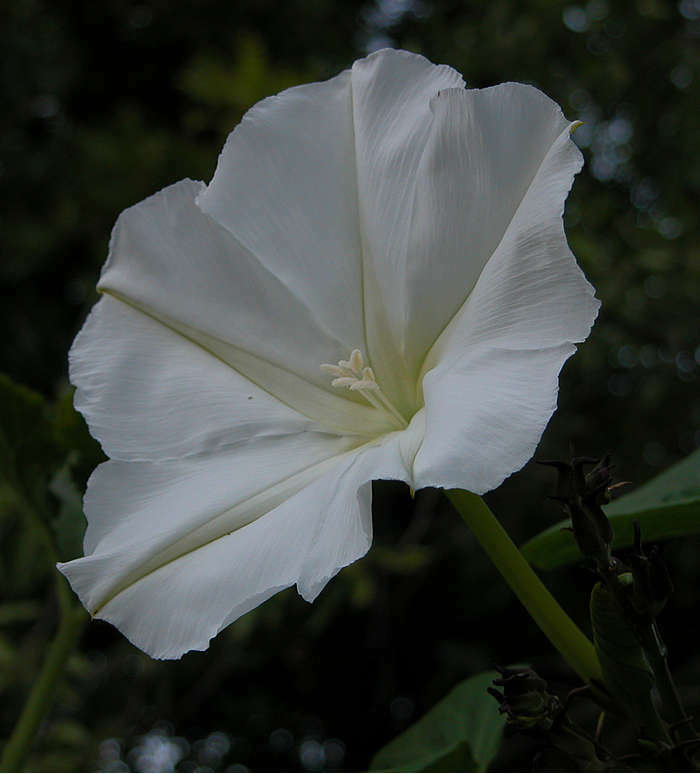 Large, white, sweetly scented 3 - 6" wide trumpet shaped flowers which open rapidly in the evening, and sometimes stay open till noon the next day. Fast growing twiner to 10 - 20 feet, with handsome heart-shaped leaves. Tropical America. 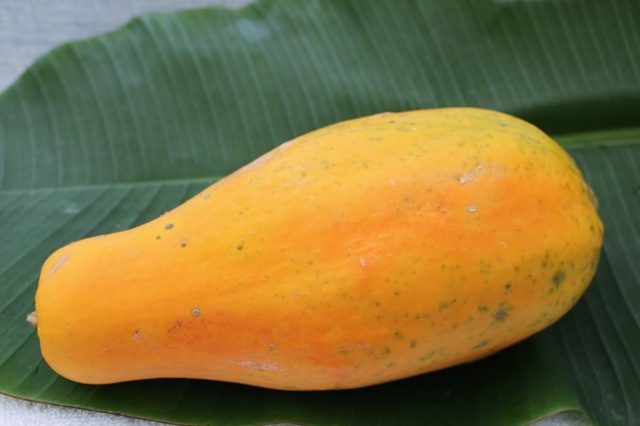 In Panama, the leaves and calyces are eaten as a vegetable, as are the young seeds. Bright pink Nerine-like flowers in clusters of 10 - 20 on stems to 8" in late summer. Hardy perennial Allium relative from Pakistan to N. China. Zone 4 at least. Germinates in 4 - 8 weeks warm. MYRTACEAE. Showy Australian shrubs with red flowers and narrow leaves. Easily grown in warm regions or in the cool greenhouse. Not particular as to soil. Seed germinates in 10 - 30 days. 'NET BUSH'. Bright red stamens in one-sided bottlebrush spikes to 8" long. Showy shrub to 8 feet, with needle-like leaves. W. Australia. Zone 9. Very adaptable. Surface sow, germinates in 1 - 16 weeks. 'CLIFF NET BRUSH'. Bright red flowers with long stamens tipped golden-yellow. Low shrub to 5 feet, with dense, needle-like foliage. W. Australia. Zone 9. Good in the greenhouse. Surface sow to germinate over 1 - 10 months. 'BLOOD-RED NET BUSH'. Brilliant red flowers over a long period. Shrub to 2 - 6 feet, with narrow silky leaves. W. Australia. Zone 8. Surface sow to germinate over 1 - 10 months. CALYCANTHACEAE. Easily grown aromatic shrubs from North America and east Asia. Valued for their fragrant summer and fall flowers. Best in well-drained somewhat rich soil in sun or shade. Sow in spring. 'CAROLINA ALLSPICE'. Fragrant, many-petaled dark reddish brown 2" flowers. Deciduous shrub to 3 - 10 feet with 5" leaves. Virginia to Florida. The hardiest, to Zone 5. Much valued for the fragrant flowers. Bark was used as a cinnamon substitute. Nick seed to germinate in 3 - 6 weeks warm. CONVOLVULACEAE. Twining or scrambling perennial vines with morning glory-like flowers. 'CHAPARRAL MORNING GLORY'. White funnel-shaped 1 - 2" flowers borne in profusion from April to July. 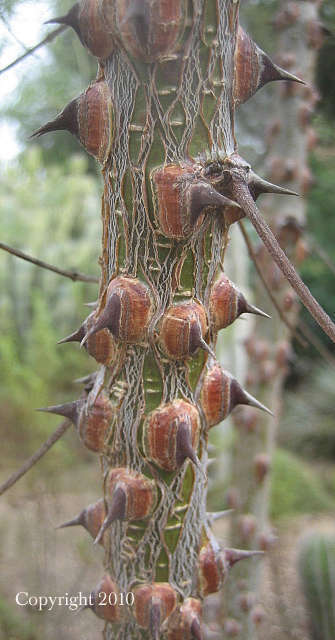 Caudex-forming woody vine with arrow-head leaves. California. Allow it to clamber over a bush in a sunny corner. Nick seed to germinate in 1 - 6 weeks. LILIACEAE. North and South American hardy bulbs with blue and white flowers in graceful racemes, and grass-like leaves. Best in rich soil kept moist in spring. Needs cool temperatures to germinate, and may be slow otherwise. 'GREAT CAMAS'. 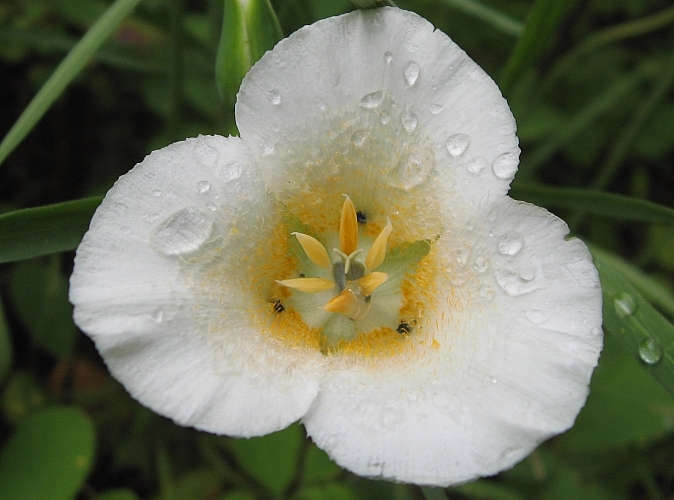 Starry white six-petaled inch-wide flowers in tall spikes to 3 - 4 feet, May and June. Hardy bulb with strap-like 2 foot leaves. B.C. to N. California. Moist areas. Zone 3. Bulbs prized by Indians as food, raw or cooked. Prechill 8 weeks. Keep cool after germination. 'CAMAS' 'QUAMASH'. Dark blue to white inch long flowers in spikes. Hardy bulb to 3 feet. Pacific Northwest. Zone 4. The bulbs were an important part of the diet of the Indians, and it was gathered in large quantities and eaten roasted or boiled. The cooking is said to develop the sweetness of the bulb. Prechill 8 weeks to germinate in 1 - 4 weeks. CRUCIFERAE. Eurasian annuals & biennials grown for ornament, food, and the fine seed-oil. 'GOLD-OF-PLEASURE', 'TSITSMATI'. Bright yellow 1/2" flowers in June and July on a hardy annual to 1 - 3 feet. Central Asia. The peppery leaves are eaten fresh like arugula, and the seeds yield an almond-flavored cooking oil high in omega-3s—up so 45%. Yields over a ton of seed per acre. Germinates in 1 - 2 weeks. 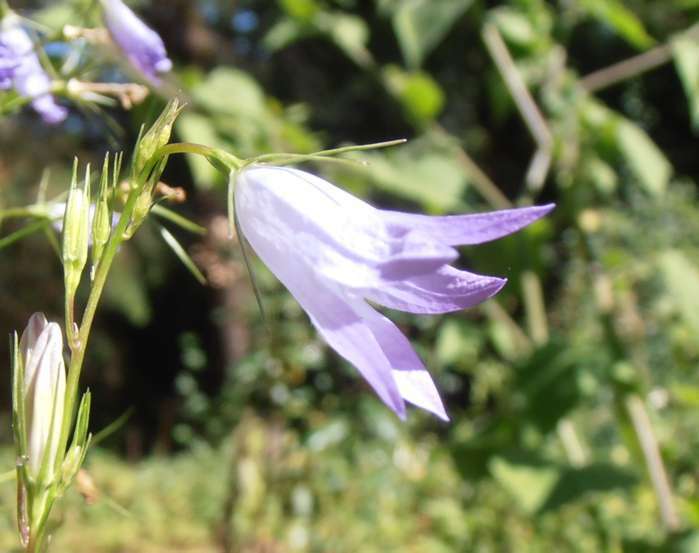 CAMPANULACEAE. 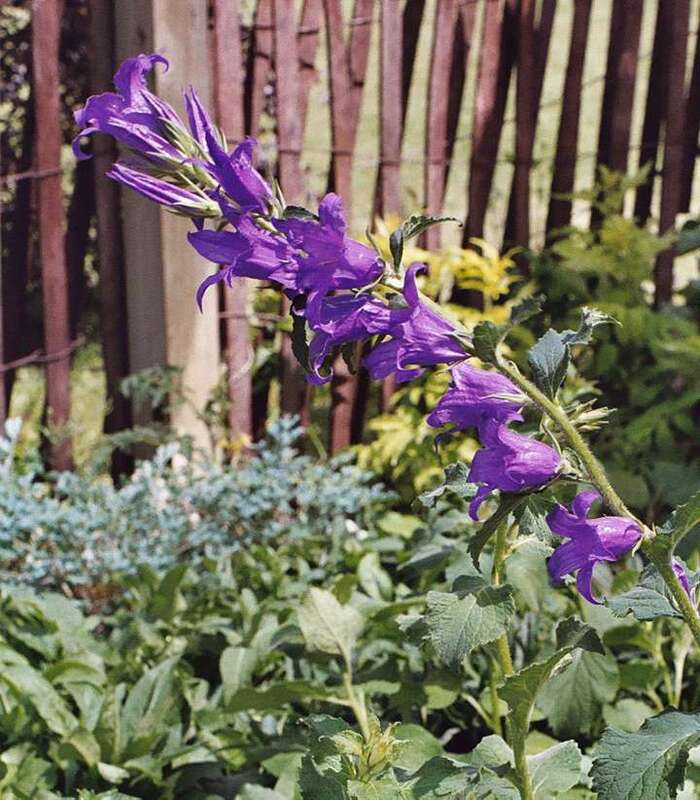 'BELLFLOWER', 'BLUEBELL', 'HAREBELL'. 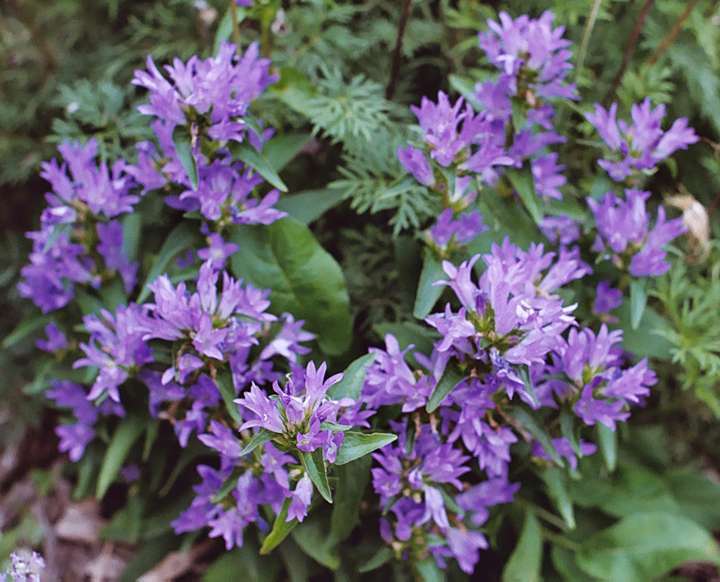 Many annual, biennial and perennial herbs prized for their showy, bell-shaped flowers. Adapted to the flower garden, rock garden and pot culture. The cascading species are especially good in hanging baskets. Flower garden kinds do best in deep moist loam, and rock garden kinds are best in sandy humus with a little lime. Part shade is beneficial in hot summer areas, and a light straw mulch in cold winter areas. Sow annuals early, in February to March, and plant out in May, biennials and perennials from June to September. Sow on the surface or barely cover as light is beneficial to some. Most germinate in 5 - 30 days, some up to 74 days. Cool temperatures (50 - 60°F) help some, and a few will hold over a year if sown in warm summer weather. Give flats mid-day shade and avoid overwatering. Liquid manure while flowering is helpful. They make long lasting cut flowers. Seed viable 4 - 10 years. Little, nodding, 1/2" blue bells held on delicate stems over the grassy, low growing 2 - 8" plant. Hardy perennial. Leaves begin kidney-shaped, and become grass-like with maturity. Mountains of Europe. Zone 3. An excellent pot or rock garden plant, quickly forming a dense mat. My favorite. Prechill 8 - 12 weeks or use GA-3 to germinate in 1 - 3 weeks. Large clusters of rich, deep violet flowers in 3" across, globe-shaped clusters. Hardy perennial to 20". Hardy to Zone 2. Germinates in 1 - 4 weeks, needs light. GIANT BELLFLOWER'. Very large blue 2 1/2" flowers in 8" spikes of about 6 - 15 blooms. Large hardy perennial to 3 - 4 feet, covered with soft down. Eurasia. Zone 3. Nice ornamental. Some lots germinate readily in 2 - 3 weeks, other lots need GA-3 and light. 'CUP and SAUCER'. In these the calyx is large and wheel-shaped, the same color as the flower, which sits on it like a cup on a saucer. Shades of blue, rose, white, and lilac. Germinates in 1 - 2 weeks. 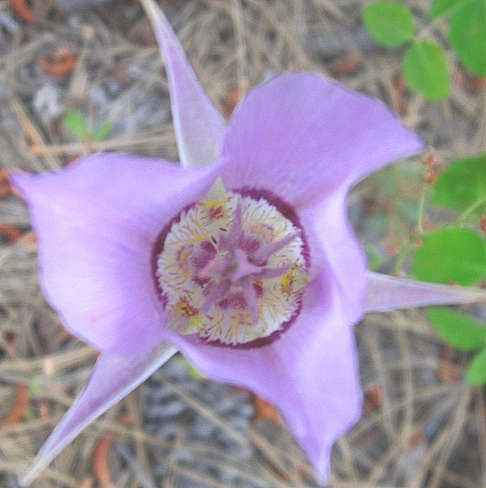 'PEACHLEAF' or 'WILLOW BELLFLOWER'. Large blue 1 1/2 - 2" flowers. Hardy perennial to 3 feet, with narrow 4 - 8" leaves. Europe. Hardy to Zone 3. Very pretty. Once used as food in England. 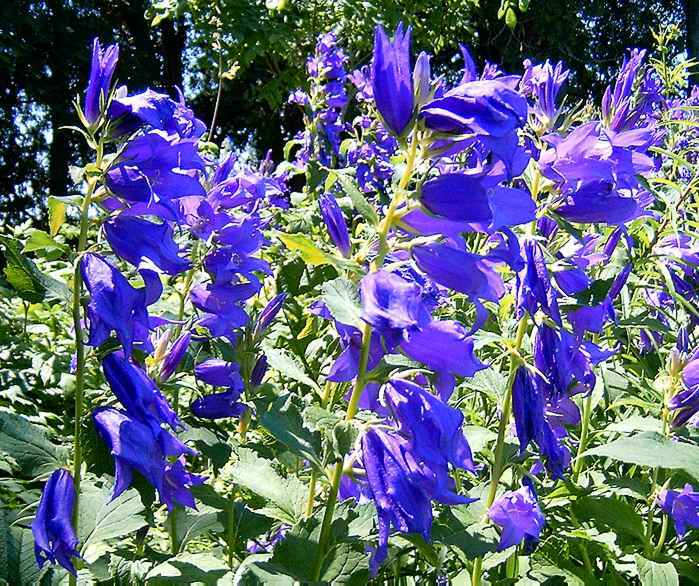 "One of the best of all perennial bellflowers."—L.H. Bailey. Germinates in 2 - 3 weeks warm. Fine china-blue variety. Due to chromosome doubling, this is larger and more vigorous. Large, narrow, cream to purple 2" bells with intense crimson spots. Choice! Germinates in 2 - 3 weeks. 'WHITE CHIMNEY BELLFLOWER'. This is the spectacular white-flowered form, with 4 foot tall leafy pyramidal clusters of inch-long flowers. "Stunning in arrangements. My favorite."—S. Calkins. 'RAPUNZEL', 'RAMPION'. Sky blue 3/4" bells in summer. Hardy biennial to 3 feet. Eurasia. Zone 4. The young roots are eaten raw or cooked, and the leaves and flowers are good in salads. This is the famous plant featured in the fairy tale 'Rapunzel', involving the theft of rapunzels from a witch's garden. There were formerly cultivated varieties with large roots, but these are extinct, and an interesting project would be reselection. Germinates in a week. 'BLUE-BELLS-OF-SCOTLAND', 'HAREBELL'. Large, deep lavender, inch-long flowers on slender stalks. Dainty hardy perennial to 12", with round root-leaves in spring. Eurasia. Hardy to Zone 2. The true 'bluebell' of literature. Germinates in 1 - 4 weeks. 'COVENTRY BELLS'. 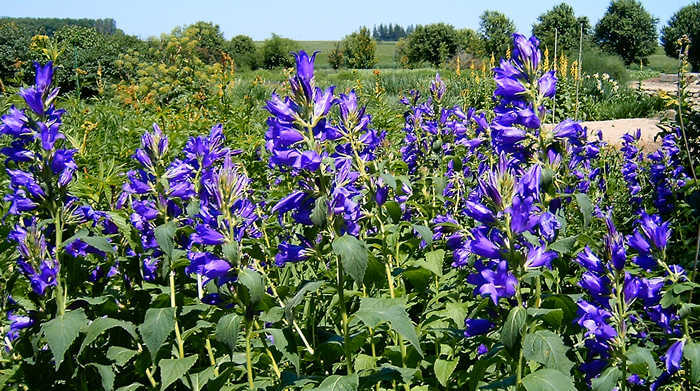 Blue-purple 1 1/2" open bells on a hardy perennial to 2 - 3 feet, with fuzzy 5" leaves. Eurasia. Very hardy, Zone 3. Naturalizes well. Needs light or GA-3 to germinate in 1 - 2 weeks. BIGNONIACEAE. 'TRUMPET VINE'. Striking ornamentals with brilliant clusters of showy scarlet or orange flowers. Fast growing robust vining shrubs climbing by aerial roots. Easily grown in sunny fertile places with something to climb on. Good erosion control and wildlife food. Some are root hardy to minus 30°F. Germinates in 1 - 8 months warm, and is often improved by 4 - 8 weeks cold. 'TRUMPET VINE'. Brilliant orange trumpet-shaped 3" flowers with a scarlet mouth 2" wide, in clusters of 6 - 12 all summer. Bold dark green pinnate foliage. Hardy deciduous climbing shrub to 30 feet. E. US. Well adapted to covering walls. CANNACEAE. Showy tropicals valued for their brilliant flowers, stately habit and bold foliage. Easy in a deep, warm, rich, moist soil. Water and fertilize freely. Lift roots in fall after frost. Start early and plant out after all danger of frost. The hard seed are very long lived, having germinated when 600 years old, found in a pre-Columbian rattle. Nick and soak seed till swollen, and keep warm, to germinate in 1 - 8 weeks. 'ACHIRA', 'QUEENSLAND ARROWROOT'. Brilliant red narrow-petaled 2 1/2" flowers followed by fuzzy red seedpods. Large tropical perennial to 4 feet or more, with striking purple stems and large banana-like leaves. Tropical America. Zone 8. The large rhizomes are baked and eaten, and made into starch. The young shoots and immature seeds also eaten. CAPPARIDACEAE. Beautiful warm region trees and shrubs with large, long-stemmed white flowers. Best in warm sunny spots and well drained, dry, rocky soil. Said to survive to Zone 4 or 5 if grown against a south-facing wall. Sometimes grown as an annual in the North if started early indoors. Good in the greenhouse. Germinates irregularly, most in 5 - 7 weeks, some up to a year. Lightly scratching the seed can help, as does GA-3 pretreatment and KNO3 pretreatment, and germinating at warm temperatures - 70 - 85°F. Light may also help. 'CAPER-BUSH' . Large beautiful white flowers with four round, crinkled petals, each 2" long, topped with a puff of up to 100 prominent long violet stamens "...the chief beauty of the plant."—L.H. Bailey. Trailing, half-hardy spiny shrub to 3 - 5 feet, with round leaves. Blooms June to September, followed by 1 1/2" oval fruits. Grown extensively in the Mediterranean for the unopened flower buds which are pickled forming the 'capers' of commerce. Known to the ancient Greeks. The young shoots have been eaten like asparagus. The Arabs eat the fruit, which is also pickled in the Punjab. "Having obtained the difficult-to-obtain, free, and endowed human body, it would be a cause of regret to fritter life away. "—Tantric Precept. SOLANACEAE. 'CHILI-PEPPER'. Shrubs and small trees usually grown as annuals in cold climates. Grow for their attractive edible fruits which vary widely in size, shape, color, flavor and pungency. They prefer a warm, rich soil. Germinates in about 2 - 4 weeks and this will be improved by soaking 4 hours in a 0.2% solution of potassium nitrate (saltpeter). Chilies have been cultivated for at least 9000 years. LEGUMINOSAE. Hardy ornamental shrubs from Central Asia, valued for their showy flowers. Very hardy and adapted to harsh conditions, sandy alkaline soil, etc. Good for wildlife habitat, erosion control, riparian restoration, windbreaks, etc. Soak seed overnight. Cold treatment helps some kinds. 'SIBERIAN PEATREE'. Showy bright yellow 3/4" long pea-like flowers in May and June. Very hardy small tree to 20 feet, with feathery foliage. Siberia and Manchuria. Zone 2. Good windbreak or hedge, good deer browse and fuelwood. Bark used for rope. Young green pods eaten as a vegetable in Siberia, ripe dry seeds eaten like beans and contain 36% protein, and they are good poultry feed. Germinates in 2 - 3 weeks. Covered with 1" yellow flowers in clusters in spring. Very hardy shrub to 8 feet or so, with beautiful grey-green foliage of tiny leaflets. Siberia. Zone 3. "It is the only one that seems to resist spider mites out here in the Midwest."—Bertrand. Soak, nick hard ones, to germinate in 1 - 2 weeks warm. CRUCIFERAE. Annuals, biennials, and perennials with white to purple flowers. Most are dainty little plants and are easily grown. Excellent for moist shady places and heavy soil where other plants will not grow. Germination variable. 'CUCKOO FLOWER', 'LADY'S SMOCK', 'SPINKS'. Delicate white to pink or lilac 1/2" flowers in clusters in early spring. Hardy perennial to 12 - 20", with pinnate, cress-like leaves. North Hemisphere. Zone 3. The leaves and flowers make a piquant cress, good in salads or on sandwiches. Give seed 4 - 8 weeks prechill to germinate in 1 - 2 weeks. CARICACEAE. Small, fast-growing tropical 'trees' (actually giant herbs) prized for their delicious fruits. 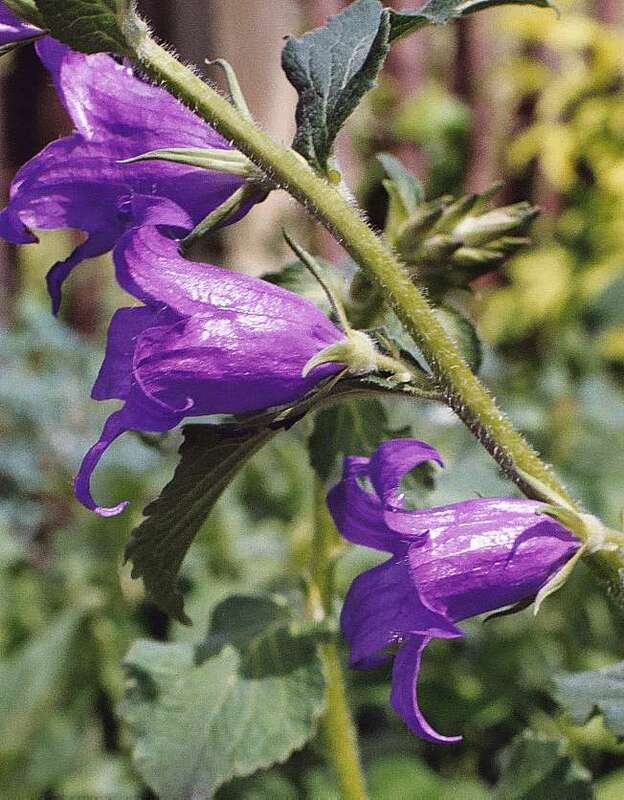 Forms a single trunk topped with striking, deeply cut palmate leaves, and are sometimes grown as annual bedding plants for the unusual, bold foliage display. Grow outdoors in Southern California and the warm South, or in the greenhouse in the North. Germination irregular, keep warm and they will pop up in 2 - 24 weeks or so. 'PAPAYA'. Fast growing small trees to 5 - 25 feet, bearing melon-like fruits ranging from a pound to over 35 pounds. Can bear in 12 - 18 months from seed in warm climates, giving their best crops in 3 or 4 years. Usually dioecious, needing both male and female trees to give fruit, but bisexual kinds exist. The luscious fruits contain the enzyme papain, which aids digestion, many digestive disorders having been cured by their regular consumption. The fruits and leaves are added to meat while cooking as a tenderizer. The seeds have a hot, mustard-like flavor, are sometimes ground as a spice, and have medicinal uses. Rope has been made from the bark. The leaves have been smoked as a tobacco substitute. Easy from seed which germinates best when at least 6 months old or so - fresh seed is dormant. Soak in warm water 1 - 2 days, plant 1/4 - 1/2" deep in light, sandy soil, to sprout in 1 - 4 months at warm temperatures. Give plenty of air to prevent damping off. Plant in well-drained rich soil. Dwarf kinds can be grown in large tubs in the greenhouse. Warm soil is a must if grown outdoors. Can withstand a few degrees of frost, but hates cold, wet soil. 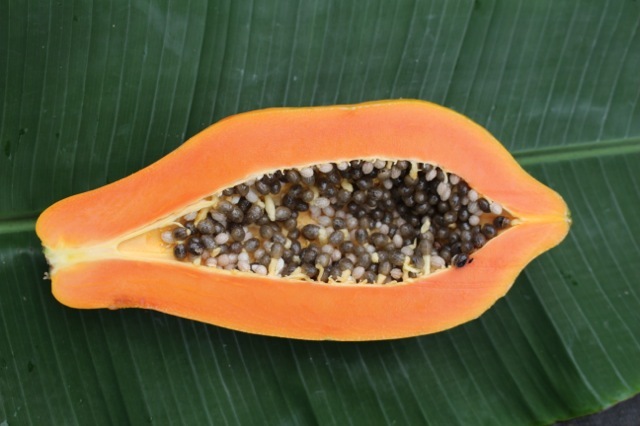 NON-GMO PAPAYA—Tested by the University of Hawaii as free of genetically-engineered genes. Foot-long papayas, about 4" wide, with medium orange to coral flesh. Trees are short-statured for easy picking, and many will regrow if topped. "They are very sweet, in flavor almost like a good melon than a papaya."—Vierra. Germinates best with GA-3 and light, in about 2 - 4 weeks. COMPOSITAE. Stunning thistle tribe plants valued in the border or rock garden and for dried flowers. Best in not too rich soil. Sow on the surface; seed needs light, germinates in 1 - 3 weeks. Huge white to reddish thistle-like head to 5" across on short stems to 12", August to September, borne singly in the center of a rosette of spiny glossy leaves. Very dwarf hardy perennial. Europe. Zone 3. Common in the Alps, the flower heads are striking and much valued in dried arrangements. Once eaten like artichokes. Some forms stemless. Germinates in 1 - 3 weeks. COMPOSITAE. Yellow, purple or white flowered annuals grown in the border or wild garden. They make nice clumps and are good in heavy soil and full sun. Drought resistant. Easy from seed sown in early spring where they are to flower. Cover 1/4", germinates in 3 - 18 days depending on temperature. Thin to 6" apart. Flowers in about 12 weeks. 'SAFFLOWER', 'FALSE SAFFRON'. Bright orange-yellow flowers with leafy bracts, on a thistle-like annual to 1 - 4 feet. Asia. Makes durable cut flowers, either fresh or dried. Ornamental and useful, it is widely grown for the seed oil used in cooking. The dried flowers are used like true saffron to color food, dye cloth, especially silks, and are powdered as a rouge-like cosmetic. It produces shades of pink, scarlet, purple, violet, etc. Needs cool temperatures (50 - 65°F) to germinate in 1 - 2 weeks. Warmth fatal. UMBELLIFERAE. Aromatic annuals and perennials with thick roots, grown for food and flavoring. Umbels of small white or pinkish flowers and pinnate leaves. Seed viable 3 - 5 years. 'CARAWAY'. Tiny white flowers in umbels held above the feathery, finely divided leaves. Hardy slender biennial to 1 1/2 - 2 feet. Eurasia. Grown since ancient times for its brown aromatic seed which are used to flavor breads, cheeses, baked fruit, liqueurs, and medicinally. The yellow roots are edible boiled like parsnips, and were mixed with milk to make a bread eaten by the Roman soldiers. The young, fresh, aromatic leaves are good in salads and mature leaves are boiled with vegetables. The seeds have been found in prehistoric Swiss lake dwellings, and are mentioned by writers from Dioscorides to the present. Sow in fall or in early spring in full sun where they are to grow, as they do not transplant well. Germinates in 1 - 2 weeks or so. Thin to 8 - 12" apart. Will ripen seed the second season. Harvest when ripe and dry in the sun. They are an aid to digestion, and were an ingredient in love potions. LEGUMINOSAE. Showy herbs, shrubs and trees with pinnate leaves and large clusters of regular (not pea-like) flowers. A large genus from the tropics and temperate zones, with many highly ornamental species grown for their showy bloom and finely cut foliage. Prefers full sun, sandy loam and warm areas. The herbaceous species are hardy in the North, the woody kinds in warm areas or the greenhouse. Hard shelled seed - nick and soak to germinate in 1 - 12 weeks. Keep warm. The seed is very long lived; 158 years has been recorded. 'CANDLE-BUSH', 'KING OF THE FOREST'. Brilliant yellow 1 1/2" wide 5-petaled fragrant flowers in 4 - 12" spikes. Huge dark green, glossy, pinnate leaves up to 3 feet long. Interesting winged pods. Shrub to 3 - 15 feet. Tropics. Cut back after flowering. Fast growing and short-lived. The leaves are used throughout the Tropics for skin ailments, due to their chrysophanic acid content. The bark is used for tattooing in Africa. Zone 6. Soak, nick hard ones, to germinate in 1 - 4 weeks or so. 'WILD SENNA'. Bright yellow, wide-open flowers in dense clusters covering the plant in July to September. Hardy perennial to 3 - 5 feet, with attractive light green pinnate foliage. New England and southward. Zone 4. Likes wet soil. Sow in early spring with heat. Protect with a straw mulch in severe climates. A fine native perennial. Used medicinally by the Indians and settlers, especially the Shakers. 'SILVER CASSIA'. Yellow flowers in summer and fall, on a small shrub to 6 feet, with silvery-downy young growth and narrow leaves, Australia. Zone 9, to 20°F. Tough and drought-resistant, good landscaping for warm deserts. Nick seed to germinate in 1 - 2 weeks. 'DENSE CASSIA'. Beautiful yellow flowers on an upright bushy shrub to 3 - 6 feet, South Australia. One of the most promising forage shrubs for desert areas, it is being widely planted in the Negev and elsewhere. Highly palatable to stock, the leaves contain 12% protein, and gives yields of 1000 kilos of dry matter per hectare per year in 8" annual rainfall. Nick seed to germinate in 1 - 3 weeks. BIGNONIACEAE. Ornamental trees grown for their magnificent pyramidal clusters of showy, foxglove-like flowers. Easily grown deciduous trees, valued for shade and avenue, and for the durable wood, used for fenceposts. Name comes from the Cherokee name for the tree. Easy from seed. 'GOLDEN CATALPA'. An outstanding form with large golden young leaves. Medium sized tree with large clusters of white 2" flowers. Zone 5. Germinates in 1 - 2 weeks. 'CHINESE CATALPA', 'CHIO-CH'IU' (Chinese name). Large clusters of fragrant small yellow 3/4" bells marked with orange, red and purple. June. Ovate or three-lobed 10" leaves. Tree to 30 feet. China. Quite hardy. Germinates in 1 - 2 weeks. COMPOSITAE. Pretty annuals and perennials with blue or yellow long-stalked flowers which are good for cutting, and can be dried for everlastings. Good in any ordinary soil. 'BLUE CUPID'S DART'. Showy lavender-blue flowers to 2" across from June to August. Hardy perennial to 2 feet, with downy narrow leaves. South Europe. Zone 4. The common name refers to the ancient use of the plant in love-philters. Start in early spring for bloom the first year. Space 1 foot apart. Germinates in 1 - 4 weeks.